Today, talent shortage causes companies to poach resources from other firms. At Empxtrack, we help you to retain your most valuable employees by making them a part of your workforce management process. In his book titled ‘Corporate Culture and Performance’, John Kotter states that companies with strong adaptive culture and shared values perform better on average than others. Also, Rainer Strack, from BCG , said that it’s important for people to have good relationships with their peers and managers along with a definitive purpose at work. Here a question arises: How do you build that culture? In this post, we’ll understand how to use Empxtrack goal management. To solve this problem, the process of workforce goal management has to start with your company goals. This includes the annual business plan that elaborates on the vision, translates to yearly objectives and goals for departments. To see results it’s imperative to put these primary goals into action. Pick a goal that derives from your vision and hold a department or division responsible for it. For instance, revenue goals pass on to the sales, marketing & finance teams; customer service goals pass on to the operations team & product innovation goals pass to the research & development team. Empxtrack’s employee group function allows you to do this. You can divide goals among teams, on the basis of the job that they sign up for, location they work out of and the team that they work in. Now that you have been able to broadly divide the goals, it’s time to call on the big guys in the top leadership team; discuss with them if they would like to work on the same goals or add new ones. Discuss goals at the start of the year to help your team focus on achieving them. And of course, the leadership then repeats the process with their line, who then repeat it downwards again – to align everyone to common objectives. Empxtrack makes it possible to select the people by rank, division and location to manage this process well from a single screen. 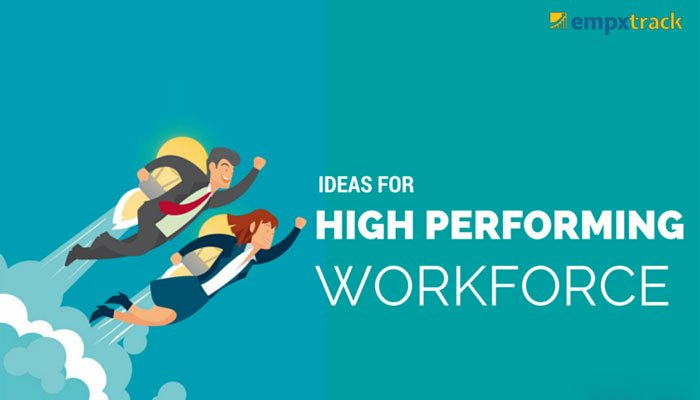 Finally, let’s come down to the place where we started: the ultra-ambitious employee who appears to have the potential to be your top performer. You fulfill all the tasks, mentioned above, so that this guy knows why he is with your company and what his role is in its success. By going ahead and sharing his manager’s goals, and the company goals; you inject transparency into your office culture, and make it more open and better at employee engagement. Empxtrack ensures that mention of the manager’s or supervisor’s goals is made clear, next to where your employee jots down his goals. The employee could pick up a particular goal that his manager works on, add another one of his own, and start work towards this set of relevant objectives. Bingo! Your employee is aware about the goals he is confident of how to achieve them. Now, he is super charged and has motivation to achieve these goals; which by the way, are completely in alignment with the your company’s vision. If you have already made the prudent decision to use Empxtrack, this post can help you build the foundation you need to create an aligned and engaged team. Feel free to connect with our Sales team.